If you’re in the market for a budget-friendly A/V receiver to add to your home theater setup then look no further than the versatile and high-value Sony STR-DH770. Available for just $198 from Amazon, this 7.2 channel receiver is an affordable solution for any user with a 4K television who wants to get the most out of their home theater setup and enjoy TV shows, movies, and gaming in crisp Ultra HD. The Sony STR-DH770 A/V receiver lets you play 4K video via satellite, cable, wireless streaming, and Blu-ray discs. One-touch NFC connectivity makes it simple to wirelessly sync the receiver to a compatible device or computer to stream videos from all of your entertainment apps right to your HDTV. Bluetooth and SongPal let you easily stream music as well, or you can hook up an audio device directly to the receiver via USB. Four HDMI-in ports give you plenty of options for hooking up Blu-Ray players, game consoles, satellite or cable boxes, and other input devices, while another HDMI output port lets you connect the receiver to virtually any modern television. All five HDMI ports are HDCP 2.2-compatible and support HDR for true 4K video. 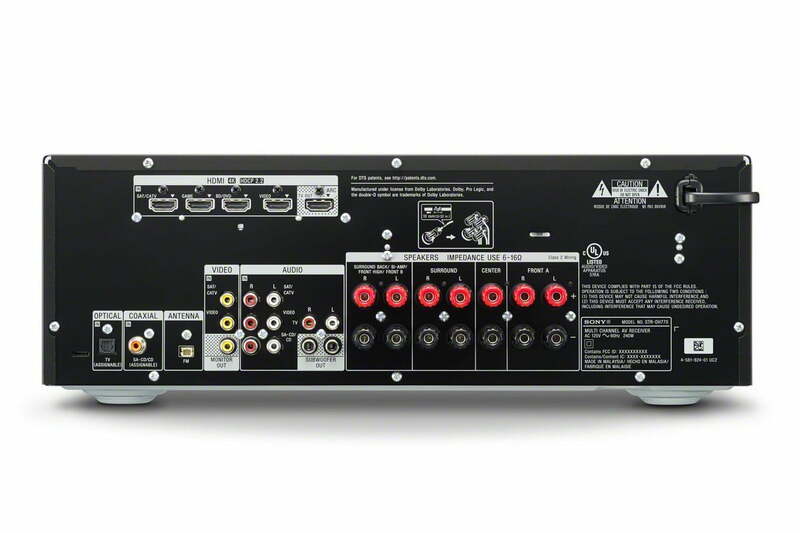 Standard A/V and coaxial hookups provide some backward compatibility with older devices as well. Audio outputs let you connect front, center, and surround sound speakers along with a subwoofer. HD-Digital Cinema Sound provides theater-like audio quality and Digital Cinema Auto Calibration automatically optimizes your speakers by detecting the acoustics of your theater room and adjusting the sound accordingly. The Sony STR-DH770 7.2 channel A/V receiver goes for as high as $350 from some retailers and was considered to be a solid value even when it was released at that price a few years ago. Now at 43 percent off of its retail cost which brings it down to just $198 on Amazon, this receiver is an affordable and worthy addition to any modern 4K home theater.